Can you believe we are one week away from Christmas Eve? Goodness, where is the time going? It seems like it was just Thanksgiving. We still have a few gifts to get but the majority of it has been done. Thank goodness! I wanted to hop on here real quick and share an easy "lazy" cookie recipe. 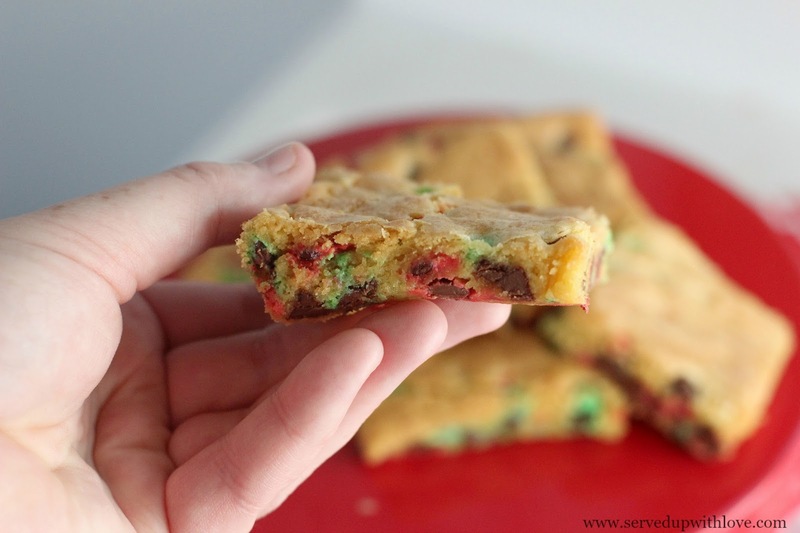 These Chocolate Chip Cookie Bars are gooey and oh so good! Since we have been SUPER busy around here, I haven't had much opportunity to get any holiday baking done. Baking is my therapy and do enjoy it so much. My mixer is screaming at me wondering why I am neglecting it. Not to worry, I am going to be working her hard this week! 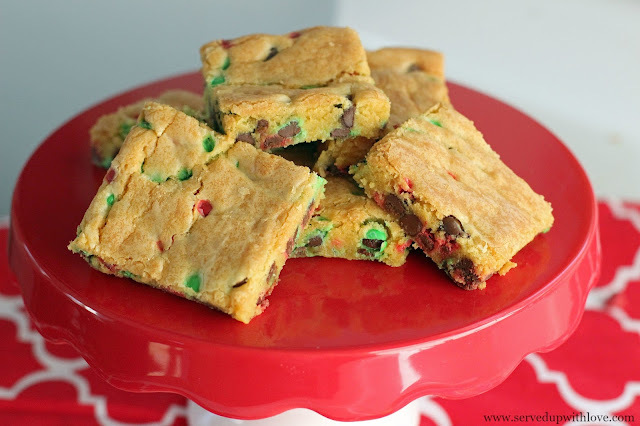 Our daughter kept asking for cookies and in the best way I could, I whipped up these Chocolate Chip Cookie Bars. Using a boxed cake mix and a few Christmas candies these were a snap to make. 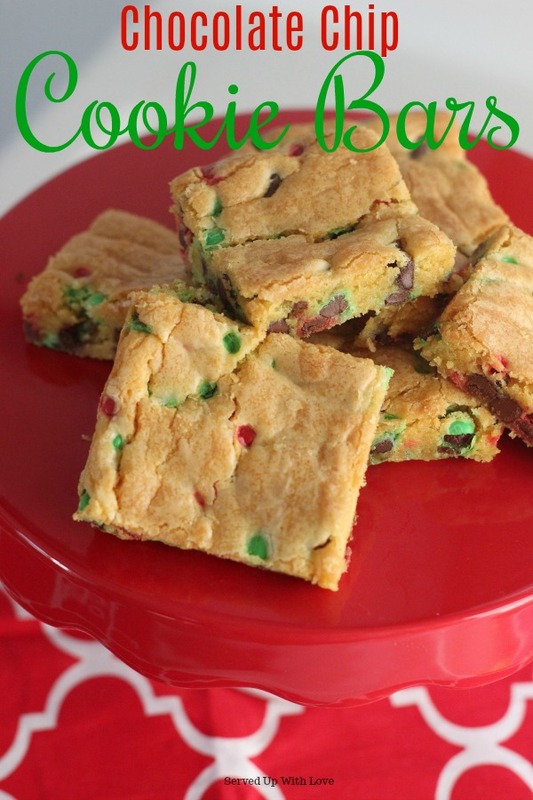 When you are short on time, these "lazy" cookies work perfectly. She absolutely loved them and has asked me again and again when I was making them again. Guess its time to whip up another batch. 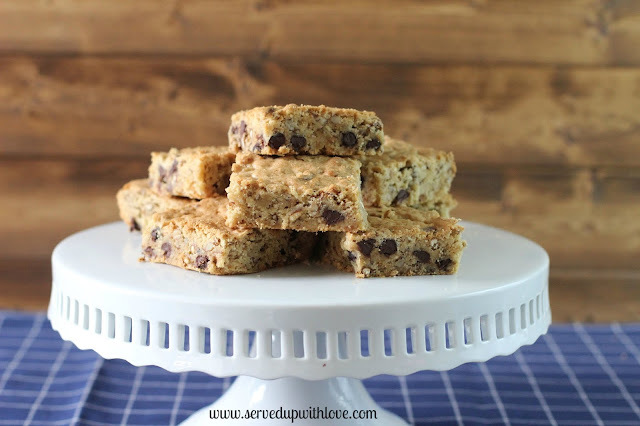 Gooey Chocolate Chip Cookie Bars aka "Lazy" cookies are the perfect sweet treat to bake when you are short on time but need to satisfy that craving for cookies. Preheat oven to 350 degrees. Combine all ingredients in a large bowl. 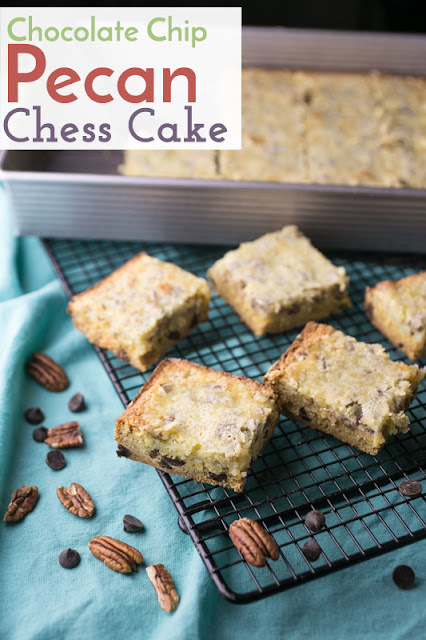 Pour into a greased 9 X 13 baking dish and bake for 25 to 30 minutes or until edges are golden brown. Remove from oven and let cool before slicing and serving.These will be a gooey cookie bar, for a firmer cookie, cook 10 minutes longer.